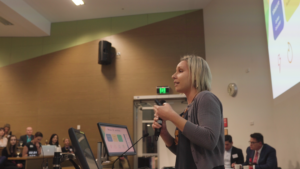 An exciting new data-driven program that helps schools and their communities reduce their carbon footprint and energy costs has won top award in Impact Seed’s Social Impact Pitch Night 2018. 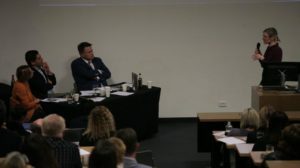 ClimateClever’s CEO Dr Vanessa Rauland took on a field of six social entrepreneurs pitching for early stage investment from a panel of potential investors and partners. 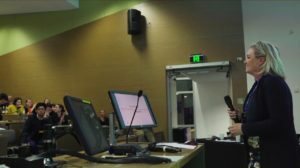 In front of a sold-out crowd at UWA’s Business School, Dr Rauland convinced the panel that her program that allows schools to calculate, track and compare their carbon footprint, has the potential to encourage energy saving behaviour from a young age. 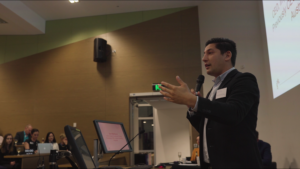 ClimateClever succeeded in a tough crowd of experienced social entrepreneurs, including community composting scheme Kooda, social franchise Wollstonecraft that empowers domestic violence survivors, and app developers CyFi Space (together with the Telethon Institute) that connects teens with cystic fibrosis. 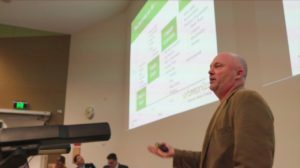 The night was the third social impact pitch event held by Impact Seed, a WA-based organisation focused on building the supply and demand for social enterprise. 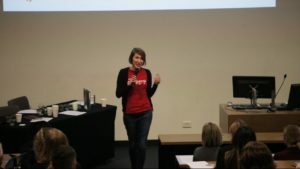 Directors Kylie Hansen and Sven Stenvers see events like the Pitch night as an opportunity to showcase how ‘business for good’ can be purposeful and profitable to a broader audience. “We are proud that Impact Seed can provide a platform for local entrepreneurs to highlight the amazing work they are already doing to create positive and tangible change in our local communities” said Ms Hansen. 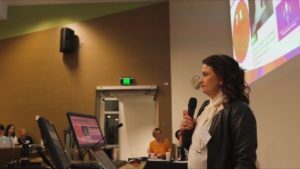 “It is indicative of the momentum in Perth’s social enterprise community that Impact Seed can hold this event year on year with such quality businesses, with more and more people wanting to hear how business can drive positive social impact”. Panelists included Daniel Madhavan (Impact Investment Group), Justine Colyer (Rise Network) and Dr Paul Flatau (Centre for Social Impact), with hosting by Tom Dawkins, CEO of social impact crowdfunding platform StartSomeGood.com. 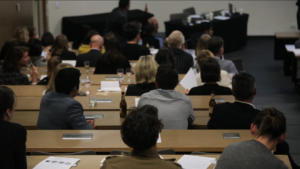 Event sponsors Beyond Bank presented Dr Rauland with the panel award to drive the next stage of her investment, and Carly Hardy from Kooda received the audience choice award. 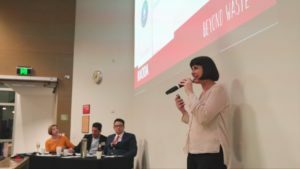 Fiona Bettesworth from Real Indonesia was also recognised for her participation in Impact Seed’s inaugural social business incubator ImpactSpark, with a grant from Beyond Bank. 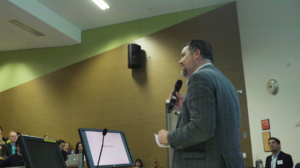 The event also saw the announcement of Pitch for Good Perth, the first live social impact crowdfunding event in Western Australia, presented by StartSomeGood, Impact Seed and the City of Perth for October 2018. 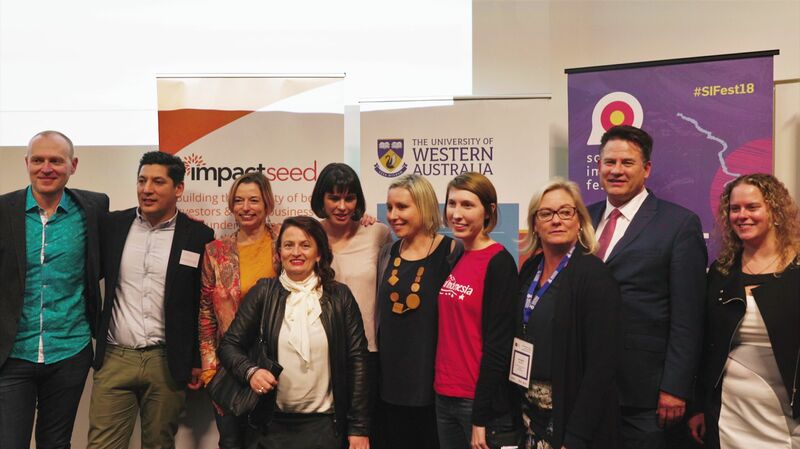 Impact Seed is a WA-based organisation focused on building the supply and demand for social enterprise. 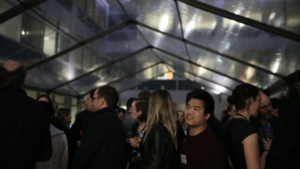 With commercial, start-up, not-for-profit and social impact experience, Impact Seed helps businesses drive positive social outcomes through its incubator program ImpactSpark, investment education, impact measurement and government advocacy. 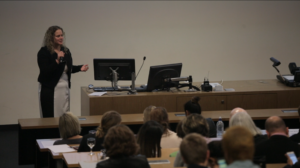 Wollstonecraft (Kirsten Shearn): A social enterprise that aims for financial empowerment of women in family and domestic violence situations through employment and transition to business ownership in a social franchise cleaning service. 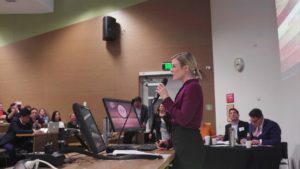 They have secured $100,000 in funding to complete their pilot program, and are already looking to the next stage of investment. 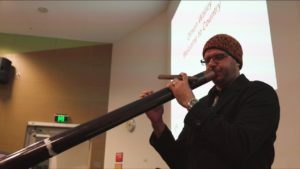 Kooda (Carly Hardy): A community composting scheme to overcome composting space restrictions. Kooda will come and collect food scraps and organic waste from across Perth, with customers supplied with five litres of worm castings every four months in return. Kooda is the only registered commercial BioPack compost facility in Western Australia. Urbotanica (Ray Hart): A social enterprise that aims to re-connect city dwellers with growing their own food. The launch of their kitchen garden appliance, the UrbiPod, is an Australian designed and manufactured appliance that grows harvest-ready herbs and salads through automatic self watering, nutrient delivery and LED lighting to foster faster plant growth. 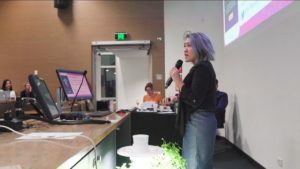 CyFi Space (Rebecca Nguyen): An innovate app to support the mental health and social connection of young people with cystic fibrosis, developed and supported by the Telethon Kids Institute. There is no current app on the market that is targeted for young people with CF, who can have limited social interaction due to the risk of infection. Club Soda (Sian Reed): A business that connects drinkers and non-drinkers through manufacture of attractive retail beverages and mocktails. They aim to provide alcohol-free options at events for those seeing a substance free night, weekend or life.